The new year is a great time to get started with new things. Come to this meetup if you’re relatively new to electronic music, if you’re new to one of the topics listed below, or if you’re experienced and can support others who are just getting into electronic music! Topics for our presentations are listed below. Members of North Coast Modular Collective will perform short musical sets. There will be some Q&A and discussion between sets. Chaos! How do you turn chaos into music? Presenter #1: Nick Gaydos breaks down the Turing Machine eurorack module and pairs it with precision adders to show how to create melodies out of randomness. Presenter #2: Dan Blades will use white noise with sample and hold to produce signals that control and shape sounds. *Do you turn chaos into music? Bring a (small) example with you! Socializing time this is a great opportunity to show and talk with others about what you do! 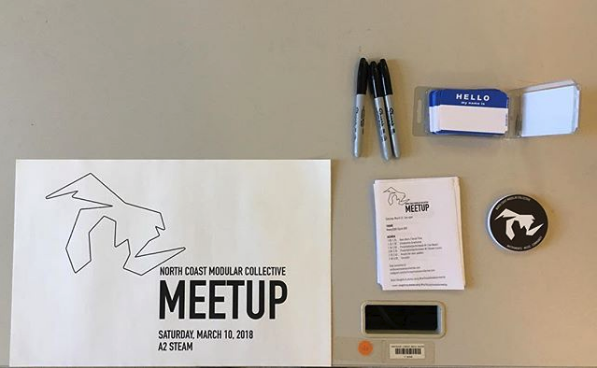 June 23rd North Coast Modular Collective Meetup: Save the Date! 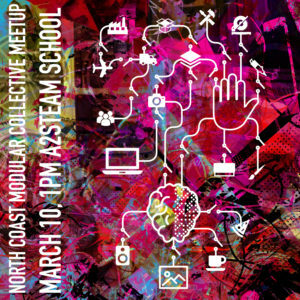 North Coast Modular Collective is hosting another meetup, where you can see what others are doing and share your interests, questions, curiosities, or ideas! Who: Open to the public. If you’re into making sounds with electronic things, this is for you. If you’re into making electronic things that make sounds, this is for you. If you’re curious but have never done it before, this is for you. 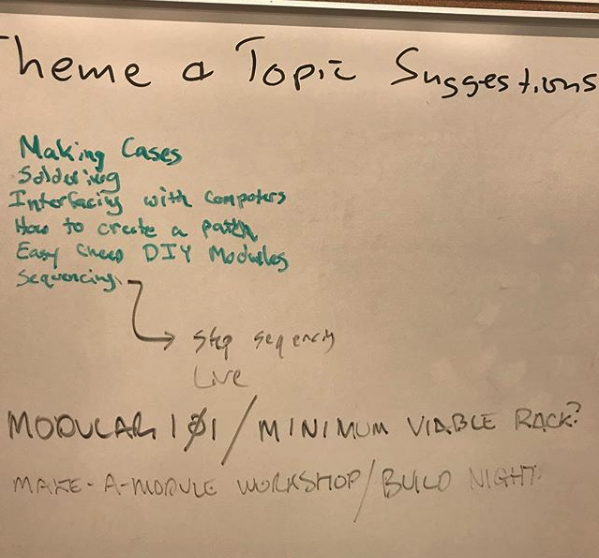 Our March Meetup generated some great ideas for upcoming topics. Since the June meetup will be held in a software factory, we thought it would be fitting to have the theme be “programming”. We’re applying some creative license to the interpretation of this theme, so you could see presentations or show-and-tells on anything from programming beats and melodies (sequencing) to DSP (Digital Signal Processing). Details will come soon, stay tuned! Comment below if you have other future topic suggestions, or ideas for presentations (including your own presentation or show-and-tell!). North Coast Modular Collective is hosting a meetup, where you can see what others are doing and share your interests, questions, curiosities, or ideas! Who: Open to the public. If you’re into making sounds with electronic things you’ve made, this is for you. If you’re curious but have never done it before, this is for you.